Have you heard of Inktober? It's basically a 31 day challenge for artists to improve their skills and get into the habit of drawing regularly. I only found out about it last week so I'm a bit late to the party. I also feel it's not just something for artists (a label I don't feel too comfortable with anyway) but for anyone who enjoys to create something with ink and paper. 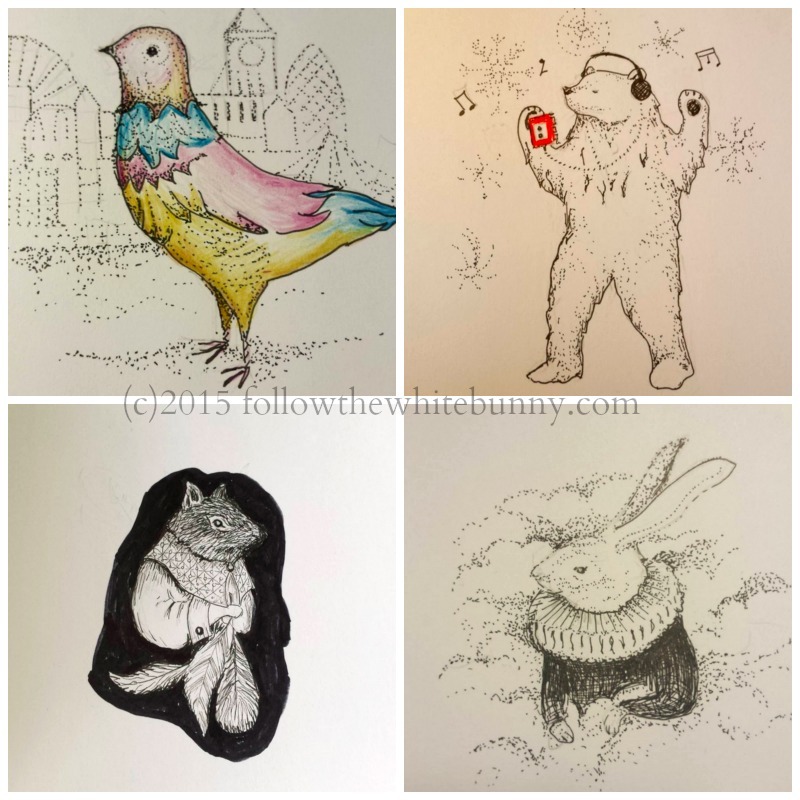 I started with the colourful Pigeon, followed by the disco dancing Polar Bear. Yesterday I made a Hare in the clouds (lots of tiny dots!) and today I drew a sinister Squirrel with his Feather Collection. 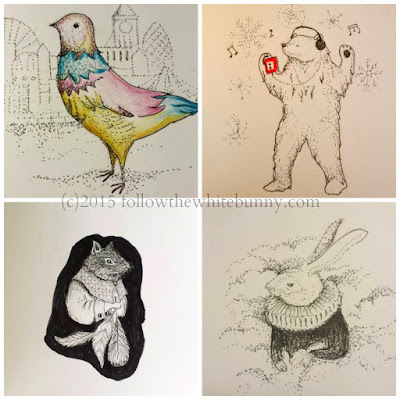 Every day I post a new drawing on Instagram (@followbunny). You could use proper ink and a pen nib, but I use fine liners (as do most people I suspect). I even made a quick trip to the store yesterday for some new ones, a nice set of Staedtler Fineliners in different sizes. It has line widths ranging from 0.05 mm to 0.8 mm. I'm also quite fond of my Rotring Tikky Graphic pen (size 0.1 mm). These pens are around 2-3$ each so you don't have to make a huge investment to start drawing. Just make sure you get pens with a width that is best for your drawing style. I generally draw small and detailed so I use really fine pens.